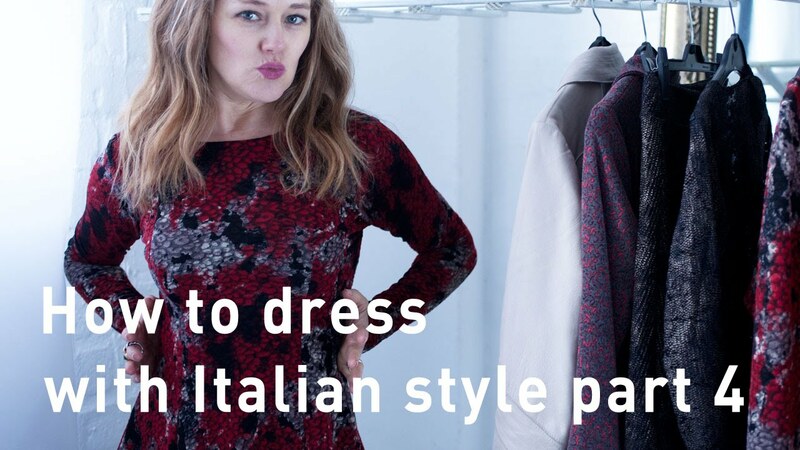 For Italian women, the fit of the clothing is very important. Not once, did I see a woman wearing baggy, shapeless clothing. In this video, I am going to show you how to achieve a fitted look for your body shape. If you are panicking about just the thought of wearing fitted clothing, don’t worry… there is a BIG difference between fitted clothing and super tight. Italian women seem to understand that wearing fitted clothing better suits their body shapes. A good fit means that the clothing flatters your figure by nipping in the right places and skimming in others. Choose your fabrics well: The fabric of an item of clothing can either make it work for you or not. Some fabrics cling and show every line and bump and others support and hold. It’s important to find out which is which. Prints are fabulous for disguising the parts you aren’t crazy about. I know…. you thought the opposite. The key to choosing your print is not necessarily the size of print, but more the fit of the garment. If you wear a printed top in a baggy cut or a size too big, it WILL make you look bigger than you are. BUT if you wear it in a fitted style, in the correct size, it works like magic.